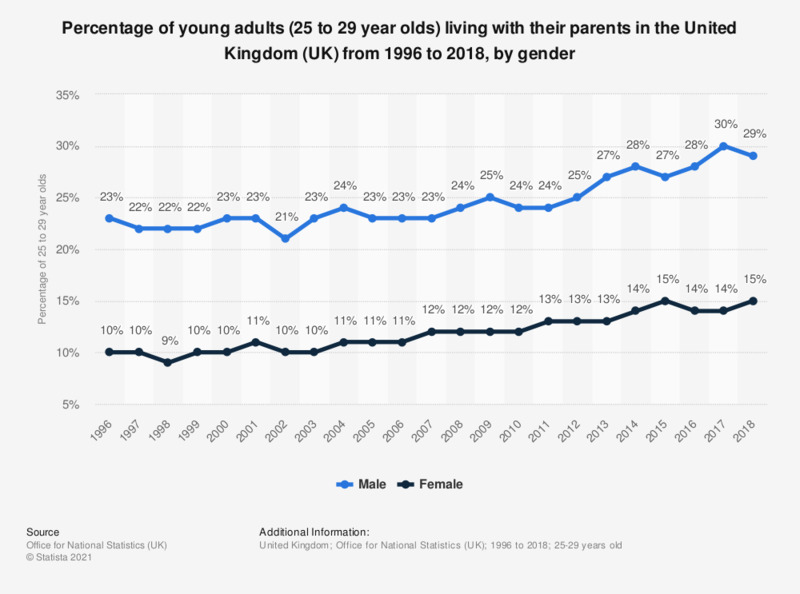 This statistic shows the percentage of 25 to 29 year olds who are living with their parents in the United Kingdom (UK) from 1996 to 2016, by gender. In 2016, 28 percent of males were living with their parents. There were consistently more males in this age group living at home than females. The figures for both genders increased overall during this period. Have you heard about the following international news aggregators? Do you use news aggregators?